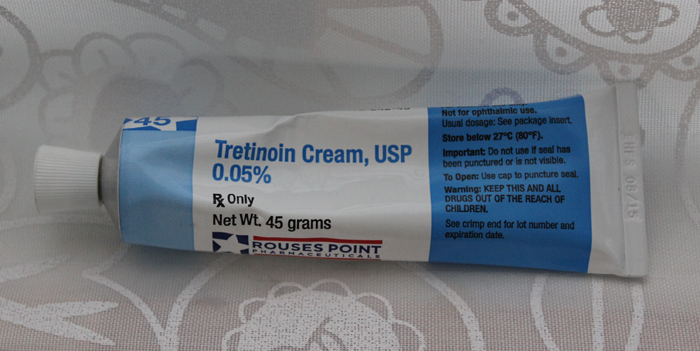 Retin-A cream has been the magical formula that I have been using for years now. I call it magic because it does wonders for the skin. I have proven it for myself and there is nothing bad that anyone can tell me about this product. It keeps my skin looking gorgeous, free of acne, fine lines, dark spots and wrinkles. In fact, people have given me so many compliments about how young I look. I think Retin-A cream will improve your appearance, taking several years off of your age for a smooth and younger looking skin. You won’t know this until you try it for yourself. If you want to have amazing skin (and what woman wouldn’t? ), then you will not regret using Retin-A cream. Here are some simple recommendations for extraordinary skin. As a form of Vitamin A, Retin-A cream was initially created for the treatment of acne. So, if you have trouble with acne, I would definitely recommend this product. In addition to acne, though, it fights against wrinkles, age spots, fine lines and dark under-eye spots. So many people ask me about my skin, how it looks so good and I attribute it to this amazing product. Forgive me, if I sound too promotional, but that is not my intention. I am so in love with this product and the way it makes my skin look, that I sometimes get over zealous. So, that is all it is. I do believe that this product allows the skin to still look good while it is breaking out. You can purchase the product over the counter, but it is best to get it prescribed by a doctor or from a beauty consultant. When you are using this product, it is also important to exfoliate the skin. With exfoliation, you will enjoy amazingly good looking skin. Here are some steps below that I follow. I first apply the Retin-A cream to my face in circular motion. Then I try to exfoliate at least once per week. Exfoliation is important after you apply the Retin-A. The Retin-A does the stimulation of the skin’s cell and makes the skin peel. The exfoliation does the rest, fading dark spots more quickly and improving the appearance of wrinkles and fine lines. The process only takes a few short weeks to work! When your skin has to deal with sun damage, it will make you age faster, resulting in sagging of the skin and wrinkles. The Retin-A works beneath the surface of the skin to smooth out those fine lines and wrinkles in possibly six weeks. Your skin’s texture will look so much better. The fine lines will slowly begin to disappear as you use the product, improving your skin tone and texture. Of course, aging is mandatory for everyone, but if you can age gracefully, why not? That is the approach I am willing to take and you should too! Have you used any type of beauty products to fight aging? Let us know what you tried. If you have tried Retin-A, let’s hear the good results you have had by leaving your comments below.